Few novels can be credited with launching entire genres. 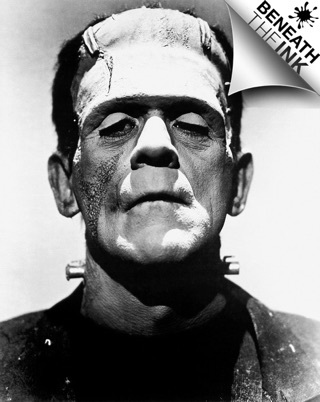 Written in 1818, Mary Shelley’s Frankenstein is a gothic tale whose influences are felt in countless works of fantasy, horror and science fiction. 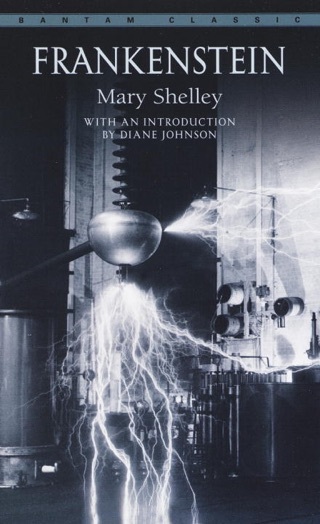 Hypnotic and suspenseful, the book slowly unfolds the story of Victor Frankenstein, a ferociously intelligent man whose scientific experiments lead to violent tragedy. 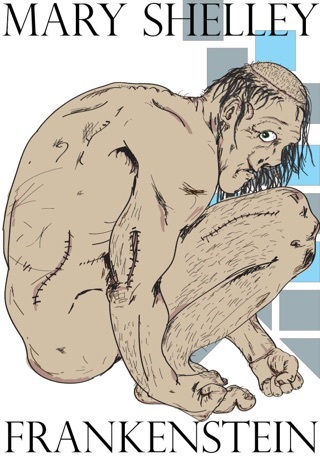 Though you’re probably familiar with the basic plot—manmade monster rises up to destroy its creator—it’s fascinating to make connections to the scary stories that came in its wake. Equally compelling is the notion that Shelley found inspiration in her own life; the author’s “creator”, pioneering feminist Mary Wollstonecraft, died giving birth to her only daughter. This book was incredibly written. 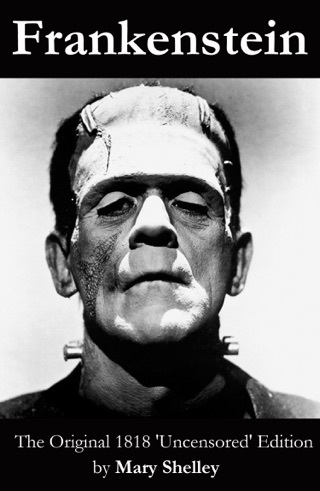 It reflects on man's judgement of other beings, and how everyone hates Frankenstein's creation at first glance, while not many people understood why his creation killed. I'm in sixth grade. Didn't find it that challenging, but it does contain difficult words that difficult words that other readers may stumble over. 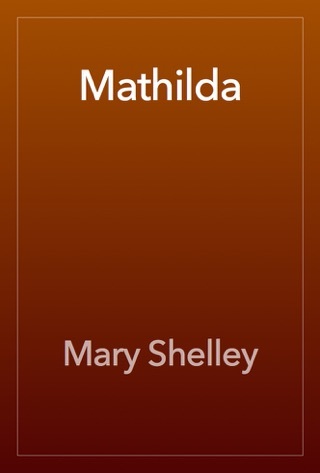 I am astonished to learn Mary Shelley wrote this at the age of nineteen. Her characters expressed themselves with such an eloquence and depth of feeling that one is bereaved by their inability to empathize with one another. The reader undoubtably feels this and is shocked by their vanity. I wonder less at the characters and more toward the mind of the author. The self-interest that accompanies youth is oddly coupled with the descriptive powers of an accomplished writer. The romance and idealism that one might expect from a young female writer is dashed by the wretched and malignant character of self advancement and hedonism. It is no surprise that subsequent tellings and adaptations of this story deprive the monster of his complexity and render its creator mad from the start. With those qualities in place, the reader is able to excuse their inhuman behavior, but alas, in the original form, the reader must struggle to reconcile destructive and heartless acts performed by sympathetic and beloved characters. 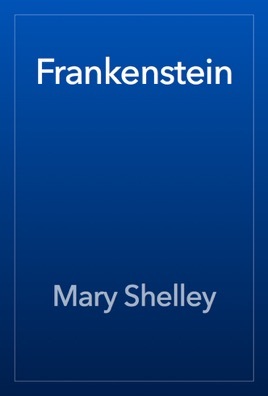 It bothers me to say it has taken me so long to ever read Frankenstein. Of course I have seen the films. Now having read the literary work I see how different the works to be and how wrong my preconception. While the movie is itself an iconic classic of horror I find the book at least equal. Both forms capture well the horror but the films discount the inner turmoil. 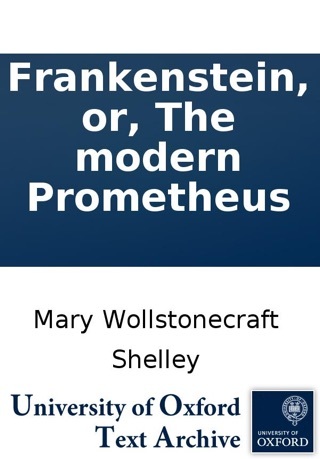 Shelley does well showing the evil of the creature and also his creator, and the opposite. Neither is without sin nor salvation. If you're not use to 19th century writing you may find it somewhat difficult. Stick with it; I thoroughly enjoyed the read and the media type (ie- iBooks). This is a major title if you wish to call yourself well read.